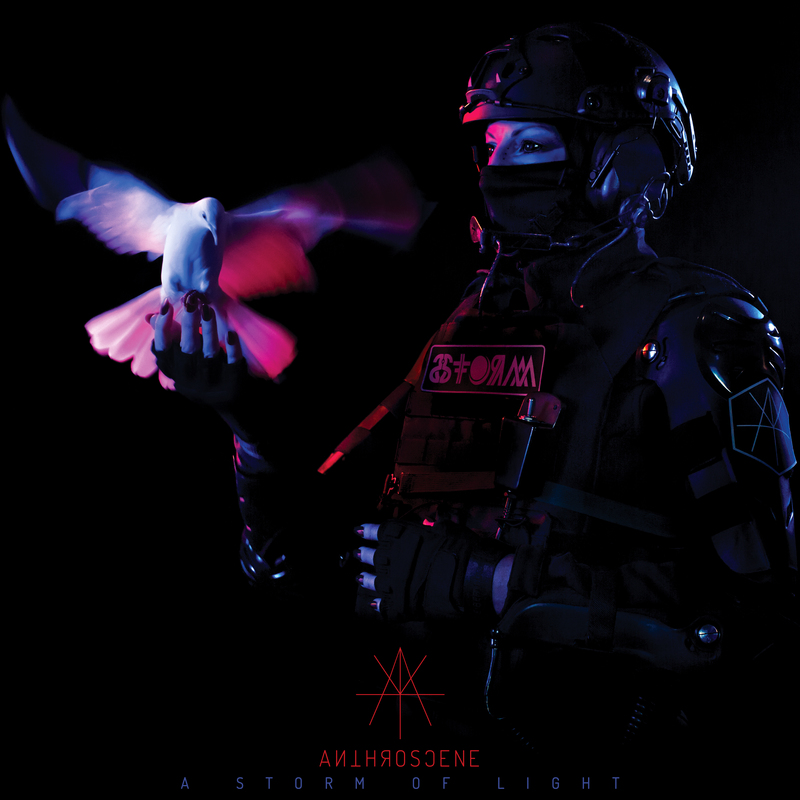 Anthroscene sees A Storm of Light deliver an adventurous and eclectic post-metal album with a heavy dose of industrial rock. A powerful record that builds on the 90s industrial metal sounds and turns it into something extremely relevant to the modern age. Many American post-metal acts share influences with their northwestern doom counterparts, giving their music a rougher edge. This has created a mix of punk, industrial, sludge and post-metal, that helps band stand apart from their peers. One such act is A Storm of Light. Bringing in elements of sludge and industrial metal, the band’s latest release Anthroscene instantly reminds one of the likes of Isis and Neurosis (This will not come as a surprise to those familiar with A Storm of Light, as its founder Josh Graham did work with Neurosis on their visual media for over a decade). Formed in 2007, A Storm of Light have released four full-lengths prior to Anthroscene, which comes five years after their previous album Nations to Flame. While the previous record was extremely focused and had a heavy industrial assault driven sound, the new record takes a step back to explore a more progressive sound while managing to retain the charm of old-school industrial rock found in its predecessors. “Prime Time” helps set the mood for the record as its built on a slow riff structure, but also brings in creative bursts of energy, with Chris Common’s work behind the drum work significantly standing out. “Life Will Be Violent” showcases a more groovier take on post-metal by mixing it with heavy industrial sound almost reminiscent of the 90s Ministry material. But despite all the positives, Anthroscene still fails to engage as a whole, mainly due to lack of variety on display. While the musicianship on display is top-notch, it fails to leave a powerful impression after one has finished listening to the record. Over multiple spins, one does start getting a sense of similarity running throughout the album. This not only makes the album slightly less memorable, but also one finds that the record ages a bit quicker than one would anticipate on their initial spins. There are hints of diversity, especially in the latter half of the record, but these instances never truly spread their wings across the record. “Dim” bring in some catchy progressive patterns backed by Domenic Seita’s crunchy bass lines, “Rosebud” closes the album on a very powerful note, by delivering one of the most memorable tracks mixing Nine Inch Nails-style industrial electronics with the powerful post-punk attitude found in the early material of Killing Joke. Anthroscene is an ambitious album, that will hopefully set the path ahead for A Storm of Light. It clearly showcases the musical potential in the band, as they continue their upward growth. One hopes that they experiment with their sonic landscape, to achieve even greater heights. Until then, Anthroscene is a rewarding listen for anyone who is a fan of post-metal and industrial rock. Previous PostProject Sapiens Bewilder Audiences with Dreamy New Video "Here We Are"